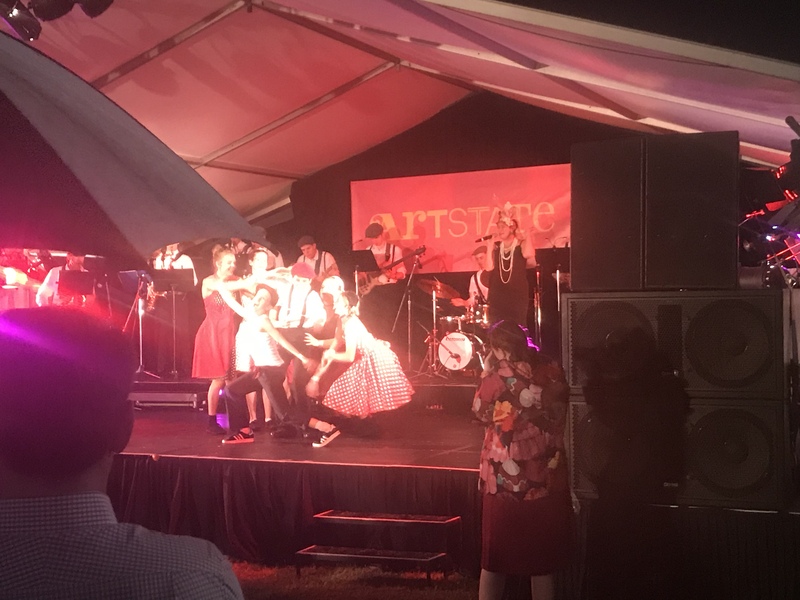 I was beyond excited to be invited to sing a handful of songs with the incredibly talented guys and gals in the Northern Rivers Conservatorium Youth Jazz Orchestra for the Opening Night of Artstate NSW 2017. Together we played a handful of Jazz Standards while the wonderful Spagetti Circus Troupe performed circus arts to add to the excitement. It was such a delight to work, rehearse, learn and perform with these wonderful kids. Sadly, I haven’t seen any Pro photos of our fun filled act. Which kinda hurts a bit to be honest! We worked hard! But here’s some dodgy ones from my husbands camera. Bless his cotton socks. And here is a recording of our rehearsal, with our broken intro and all, just because I LOVED singing with this bunch so so very much.